Published By – Tallyrand Music, Inc. 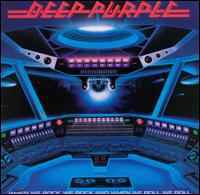 Published By – Purple (USA) Music, Inc.
"Woman From Tokyo" is listed as "Live" on the CD cover but it is actually the studio version. "Smoke On The Water" is not listed as "Live" but is an edit of the live version from the "Made In Japan" album.